Kumarakom is an enchanting scenic tourist destination in Kerala. The amazing shades of the green vegetation – that include mangroves, coconut palms and paddy fields – cover the verdant countryside. Channels and waterways wind their way through this green paradise. Here is an idyllic holiday destination that you must visit on your Kerala holidays. It is situated 15 km from Kottayam on the famous Vembanad Lake. It is best described as a small, picturesque rural village in Kottayam. It is a small group of islands spread on Vembanad lake. Kumarakom’s bird sanctuary is popular among bird watchers and nature lovers. Many rare varieties of birds especially seasonal birds can be seen here. The best way to watch the birds of the Kumarakom’s sanctuary is a boat trip round the islands. It is spread over 14 acres of lush green vegetation. Hundreds of coconut palms lining the rivers lean their heads and whisper to each other . 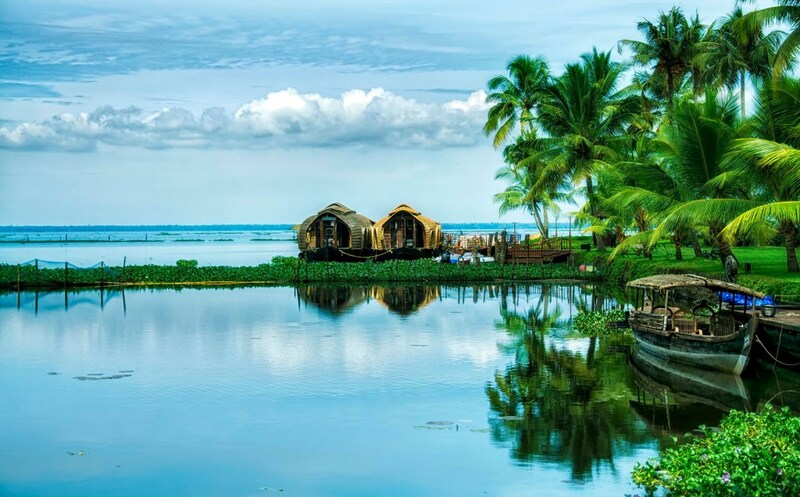 Kumarakom is an example of nature at her best with fragrant flowers, flock of multi-coloured birds, surrounding greenery and the clear waters.